WHAT IS FINESTA, YOU ASK? When it comes to expanding your business, starting up a new business or extending your capasity we can help you make it happen. Finesta specializes in strategic consultancy for outsourcing and optimizing efficiency from the manufacturing industry all the way to service industries. With a long history in providing reliable services, Finesta can provide you with all inclusive solutions. 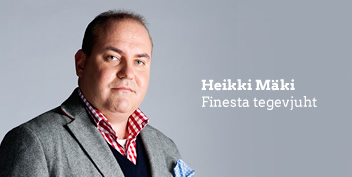 Finesta story began in a year 2008 when Finesta Baltic OÜ was established in Estonia. From Estonian market leader in providing personnel services Finesta now has become one of the largest human resource services provider in the Baltic States. Finesta Lithuania helps you with best solutions for recruitment, rental and temporary workforce services. Our goal is satisfying and measurable result for each and every party involved. We belive in people. Finesta has been created to service companies with personnel needs as well as providing long-term services for client relationship development, including a wholesome approach to organizational structuring and process optimization. Finesta has a lean and efficient organization and can service clients fluently in Estonian, Russian, English and Finnish. A Key Account Manager will take care of all the needs of the client with a fast communication and quick reaction speed. Finesta’s back office team, consisting recruitment consultants, payroll specialists and accountants to name a few, simultaneously works on making our process structure more efficient and flexible. Heikki Mäki (M.Sc. in industrial economics and management) has 15 years of experience in several executive management positions in publicly traded industrial corporations operating globally. He served as Chairman of Board in one of the largest exporters and employers in Estonia for 5 years. Mr. Mäki has been involved in several business acquisitions and transfers from and to Estonia, as well as new business ramp-ups. He has international experience in turning loss making operations back into profit by continuous improvements in operative efficiency and organizational restructuring. Mr. Mäki is one of the most respected foreign economic and political agonists in Estonia and holds several positions of trust in society. We take our agreements and social responsibilities seriously. That’s to say that Finesta will take care of the contracts and responsibilities we’ve committed to as agreed and in time. Finesta always keeps promises and constantly thrives to exceed those of both the companies and individuals involved. Whilst communicating openly and with honesty we hold on to the confidentiality of all parties involved. With best interest of our clients in mind we navigate amongst the rules and regulations of today’s world. The personnel of Finesta in their respective countries know the legislation and local procedures on how to serve our clients according to the law. We at Finesta believe that on both sides of each agreement, we are all human.